Data collected by Hospice Item Set (HIS) and Hospice Consumer Assessment of Healthcare Providers and System Survey (CAHPS) between July 2015 - July 2016 was recently released. This marks the first publication of national hospice data. Updates to the CAHPS Hospice Survey were posted to the CAHPS website. The National Association for Home Care and Hospice (NAHC) has learned that the Centers for Medicare & Medicaid Services (CMS) is launching a Hospice CAHPS Survey Mode Experiment. CMS is seeking information to help in the development of adjustors that will allow for better standardization across hospices that participate in the CAHPS survey. The experiment seeks to adjust accordingly to the survey mode used by the different hospices: mail, telephone, or mixed mode. CMS is working with the RAND Corporation on the project and outreach by both CMS and RAND is currently being made to selected hospices relative to participation. On October 17, 2014, CMS posted the list of approved Hospice CAHPS vendors. 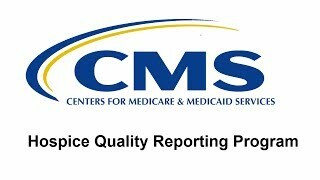 In order to be approved to administer the CAHPS Hospice Survey by CMS, the listed organizations had to meet the CAHPS Hospice Survey requirements. With the Hospice CAHPS requirement right around the corner, current FEHC users may be wondering how they can continue using their historical FEHC data. Unfortunately, because so many of the original FEHC questions have been altered for the Hospice CAHPS, a simple fix of mapping one survey instrument to another is not possible. Moreover, while many of the questions on the FEHC are related to questions on the Hospice CAHPS, simply comparing old performance scores to new performance scores may not get you the information that you need to seamlessly continue your improvement efforts.